So I am back again in this space after some centuries. Before you people forget me completely let me quickly start blogging once again and get some great recipes for you all. Hey, let me first update you on everything that has been happening from last November – that’s last when I had updated this blog – such a shame. Anyways, I have bought my own apartment (rather we have bought and not I alone) and moved in the suburbs of the city. 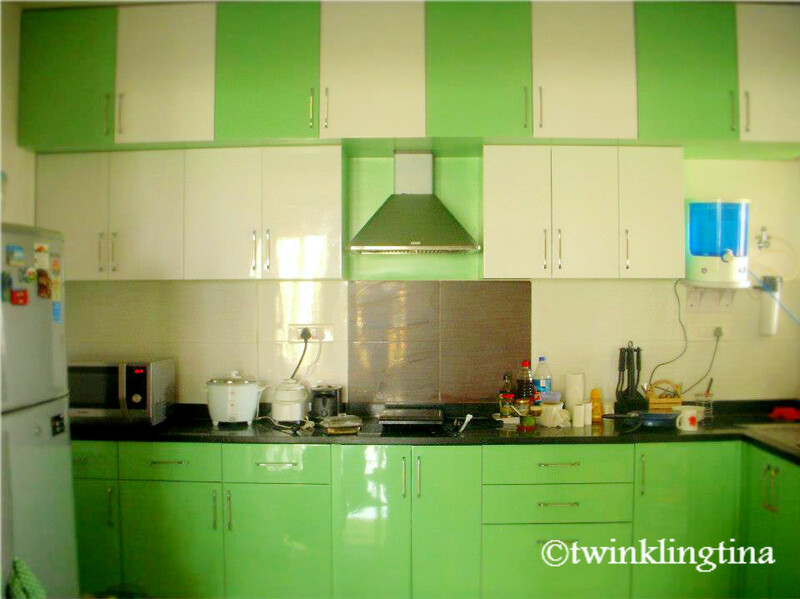 I designed my own kitchen and love it. I still don’t have a cook so I am doing most of the daily cooking and yes Indro chips in too whenever I return late. All this travel between work and home is leaving little time for the me-time and that’s why you see my absence from this space – of course apart from my laziness. Haha.. So what am I going to share today? Let me share a good Bengali after meal recipe. We call it “Aamer Chutney” or you may say Mango Chutney. Now green mango or raw mango is very famous all across India, people use it for chutneys and pickle. We Bengalis love our sweet and need something sweety tangy at the end of our meal. 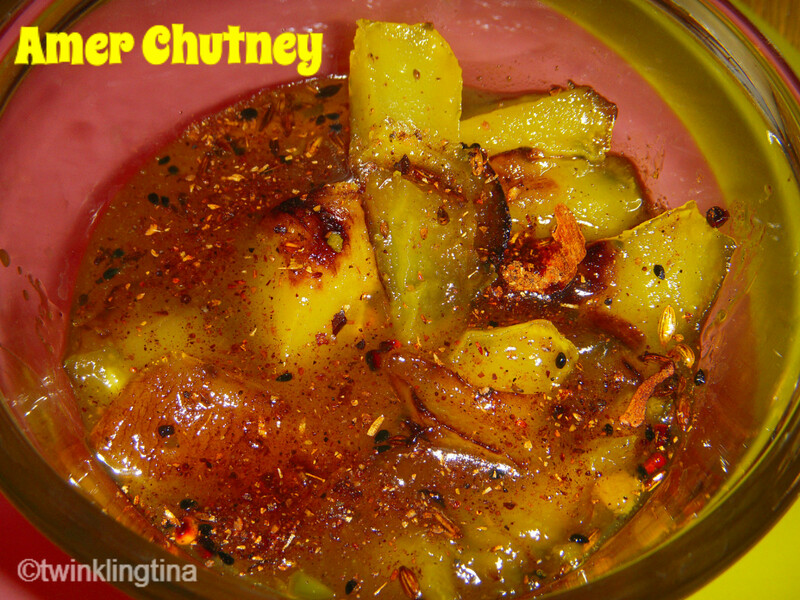 This recipe is little different from any other chutney or pickle so do read carefully. It’s really easy by the way. *Paanch phoron – This is a special spice mix which every Bong household will have. It is used extensively in Bengali and Oriya Cuisine. It’s really easy to create one if you don’t have. 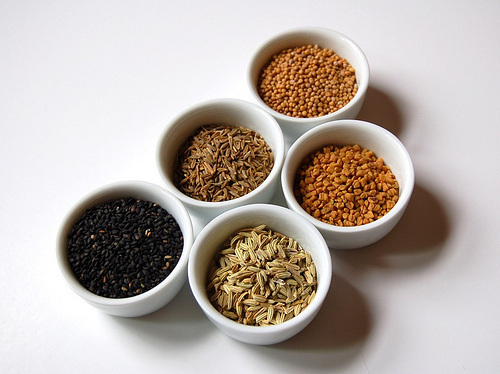 It requires 5 different spices – Cumin, Kalaunji, Fenugreek/Methi, Fennel seeds/Mouri and Black Mustard Seeds. This mango chutney is made mostly in the summers. We have it after lunch and it helps in digestion after a hearty meal. So go ahead and enjoy and let me know how you liked it.